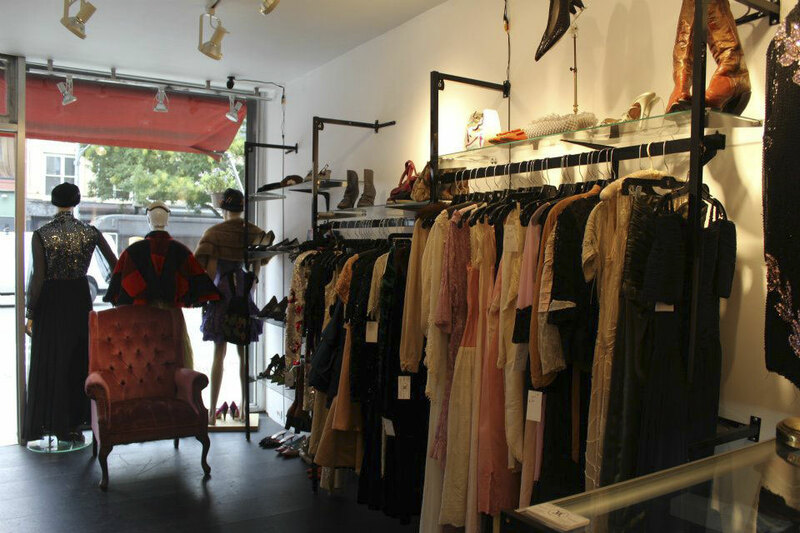 One of the questions I’m asked the most is “Where do you get your vintage clothing?” The answer is I get them from all over the place; I am always on the lookout for a fabulous new piece. I never know when I might stumble across an amazing dress or hat or purse. I do buy a few things online, but I really do love to try things on, and the digging through less than wonderful stuff to find the gems, so most of my vintage I buy in brick and mortar stores. 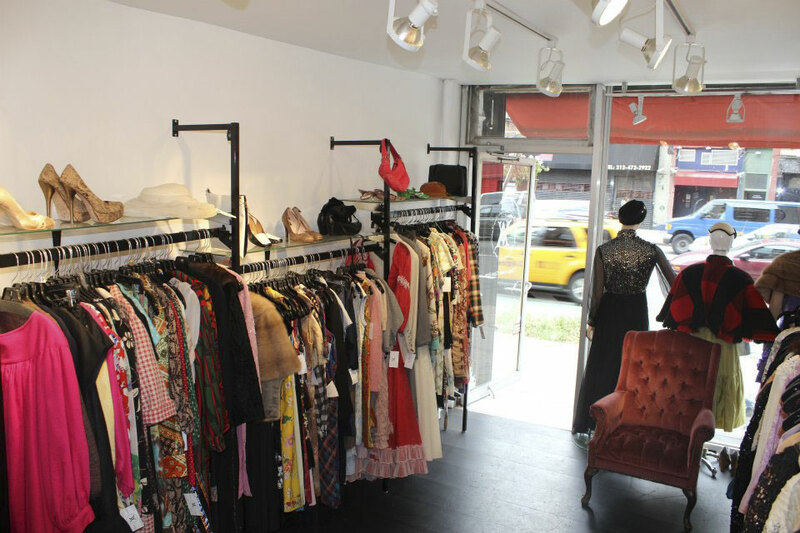 I’ll be covering some of my favorite places to discover amazing vintage in NYC, starting out with one of my favorite hidden gems, Angela’s Vintage. This unassuming shop is tucked away on 2nd Ave and 2nd Street in Manhattan, sandwiched between a gas station and a Hare Krishna center (yeah, I didn’t know those still existed either!). 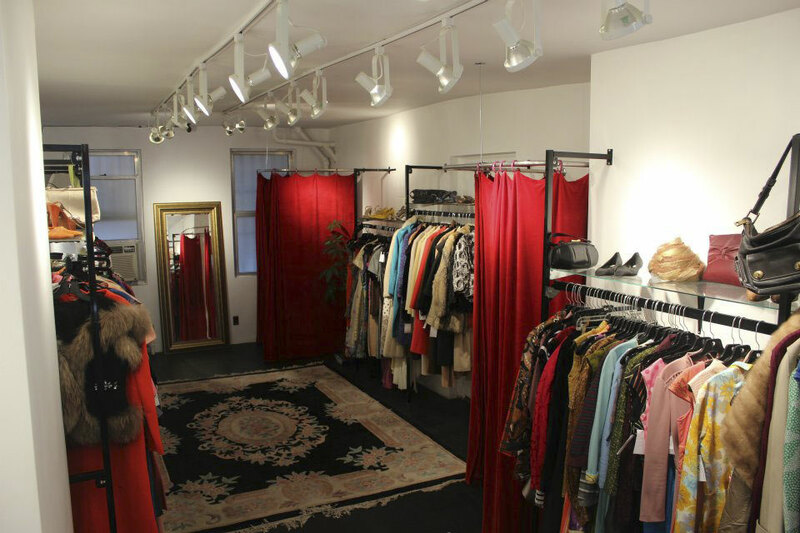 Inside, Angela has everything from 1920’s to present day clothing. I have found some of my favorite pieces here. It takes a bit of digging (which is usually the case with vintage shopping), but I have never left here with less than two pieces, and Angela is always very generous with a discount for multiple pieces. She’s one of those vendors who wants her vintage treasures to go to a good home. One of my favorite things is that she’s a bit feisty, and brutally honest about what she thinks looks good on you; there’s no hard sell here! 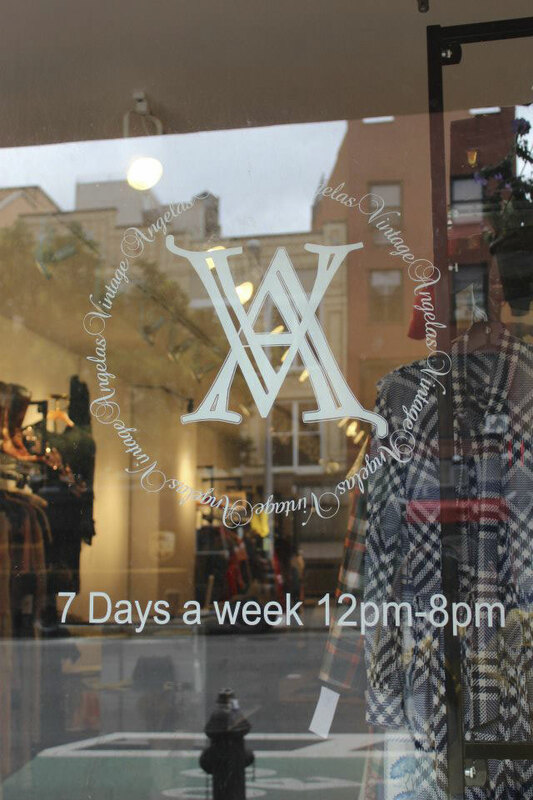 If you’re in the Lower East Side, definitely stop by Angela’s! This place looks absolutely adorable! If I’m ever in NYC I will be sure to check it out. If you’re ever in New Orleans I urge you to check out my store, Retro Active Vintage. We specialize in Mid-Century but carry everything from the mid 70s and earlier. We have an etsy store and our website will link you there. Thank you so much for telling me about your store Emily! If I’m ever in New Orleans I’ll be sure to check it out and let you know I’ll be stopping by!